Have you picked out the perfect camper for your trip? If it's a towable camper, then there are some things you should look at before heading out on your trip. 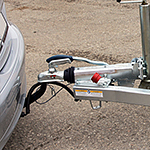 For one, do you know what the towing capacity is for your car or truck? There are some 290-pound trailers that can be pulled by motorcycles after all. You'll need to check the weight of the camper, and then look in your owner's manual to find the rating for your vehicle's towing capacity. How often have you started your vehicle in the winter only to find that it won't start? You may be surprised to find that this can happen during hot summer days as well. Our service team here at Wagner Kia of Shrewsbury understands the importance of proper vehicle maintenance and are here to help. Temperature extremes can cause your car's battery capacity to be lowered. If your vehicle has a lead-acid battery, its capacity can drop about 20% during freezing temperatures and up to 50% if temperatures drop further to -22 degrees. Is Synthetic Oil a Good Alternative to Conventional Oil? Most drivers realize that a vehicle requires oil in order to properly lubricate parts of the motor and help the car to operate as efficiently as possible. But what is the difference in the two types of motor oil? Luckily, we here at Wagner Kia of Shrewsbury are here to give you the basics as to the differences between conventional and synthetic motor oil. Conventional motor oil is derived from solely raw crude oil. Synthetic motor oil, on the other hand, contains additional chemical compounds that are specifically designed to improve its performance. Gone are the days when you go into an automotive store for brake fluid and there is one kind that’s used on almost every vehicle. Technologically advanced in automotive engines, transmissions and brake systems now require specific oil for specific vehicles. The service techs at Wagner Kia of Shrewsbury are happy to show you our wide selection of brake fluid at our Kia service station. Responsible vehicle owners have a regular maintenance schedule where they either have their car serviced or check different components of their car to determine if they do need to be replaced. The different belts on your vehicle should be included in this check, but we here at Wagner Kia of Shrewsbury that even the most responsible vehicle owners sometimes leave this out. Cabin air filters are used to clean and filter the air both outside and in your cabin before it is recirculated through your cars AC or heat system. Like most other parts of your vehicle, it carries a suggested maintenance schedule on when it should be replaced or inspected. However, if you or a passenger are a smoker it can greatly reduce the life and effectiveness of your air filter, and it may need to be changed more often than recommended. 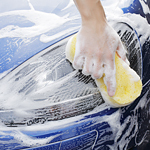 At Wagner Kia of Shrewsbury, we can help you determine if more frequent changes may be needed. Getting your car in for a service appointment probably isn't the most exciting thing on your agenda. Often, we're so busy it can be easy to overlook taking care of these important tasks. Wagner Kia of Shrewsbury is happy to announce that we've rolled out a new online system to schedule your appointments. If you are planning on driving this winter you should never leave home without a bag of sand, salt, or litter in your vehicle. You don't want to get stuck and have nothing to help you out. 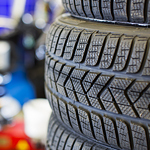 If you have sand, litter, or salt to throw around your tires, you just may have enough traction to get out of a bad situation.